If you are experiencing any build up in your toilets or drains, it may be due to a problem in your sewer pipes. To help combat these type of sewer problems, it is recommended that you have sewer inspections on a regular basis. Nu Flow Phoenix offers sewer inspections at affordable rates to residents and businesses in Glendale, Arizona and throughout the Phoenix metropolitan area. Due to cutting-edge technology, excessive excavation is no longer needed to inspect, repair, or even install new sewer pipes. With camera inspection equipment, the professional technicians at Nu Flow Phoenix can inspect your sewer pipes in a fast and easy manner. This camera inspection is done by a technician who inserts a long, flexible cable outfitted with a high resolution camera into your drains or toilet to access your sewer pipes. 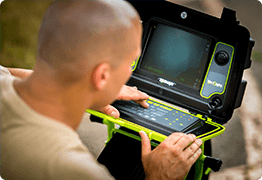 A clear image of your pipe’s interior appears on the technician’s monitor, allowing them to effectively see inside your sewer pipes without actually needing to physically be handling them. By avoiding the need to physically view your sewer pipes to determine the issue, these camera inspection experts save you time and money. It’s is crucial to have your sewer and water pipes inspected regularly. If a problem does arise, it may result in sewage waste leaking into your home and/or build up of sewage waste from forming, ultimately exposing you and your family to harmful bacteria. The hot summer heat is also known to damage sewer and water pipes due to the ground warming and creating openings and cracks in the pipe. It is important to have your water and sewer pipes inspected after every summer to make sure they have not been damaged. Just as it is important to have your sewer and water pipes inspected after the hot summer months, it is also crucial to have these pipes inspected before buying a new house. A new or new-to-you house may have underlying plumbing issues that you are unaware of. It is recommended that you call a professional plumbing company that offers camera inspection services before making your final purchase to determine whether the plumbing will be an issue in your new home. JHaving a camera sewer inspection allows the pros at Nu Flow Phoenix to find any issues that may exist within your pipes. Cracks, pinhole leaks, tree root invasion, corrosion, and clogs can all be readily seen with our high-definition cameras, allowing us to make educated recommendations for what type of service you might need. JIf you live in the Glendale, AZ area and you suspect there to be problems with your water or sewer pipes, call Nu Flow Phoenix at 480.508.6634 today to get a camera inspection before a minor problem becomes a major headache.